Medical, Surgical and Advance Technology Department “G.F. Ingrassia”. 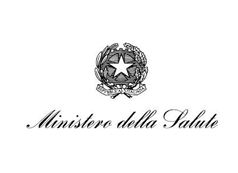 Regional Laboratory for Environmental and Clinical Monitoring and Legionellosis Control. No Name® is an inert gases blend. calcareous scales. Thanks to limestone dissolution and biofilm deposits removal through inert gases, NoName® applications eliminate conditions that foster Legionella spp. plant colonisation. Six months experimental testing (data publication forthcoming) showed NoName® effectiveness in biofilm and calcareous scale removal. Tests revealed also that NoName® removal action, if paired with continuous, adequate sanitizer releases helps to control Legionella spp. colonisations in hydraulic conduits and sanitary hot water production systems. The containment of legionella is necessary and it is a legal obligation. NONAME, by eliminating the biofilm “home / breeding ground” of Legionella and amoeba, is the true method for its prevention by making efficient disinfectants devices. 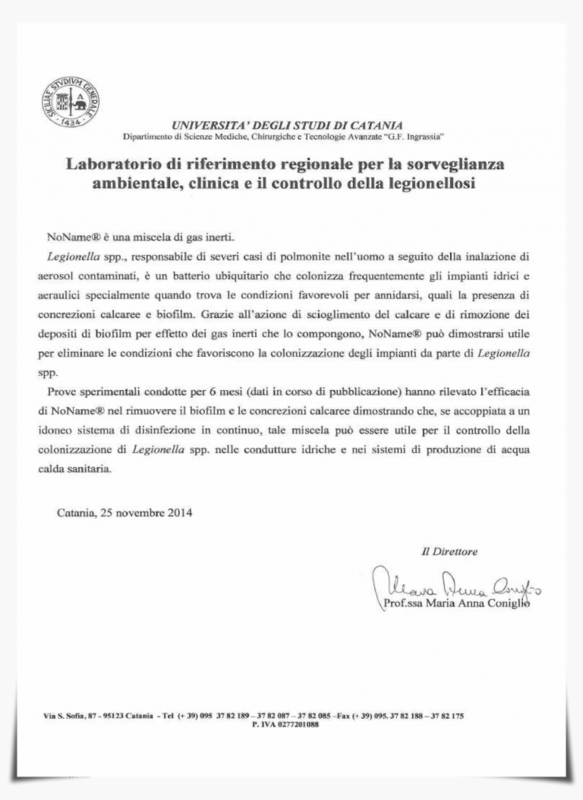 This effectively solves the problem of legionella as tested by university laboratories of Catania. The NONAME patent is according with Directive 98/83 EEC, does not alter the organoleptic conditions of water and realizing the desire of many users: they can comply with the requirements of organic method law.